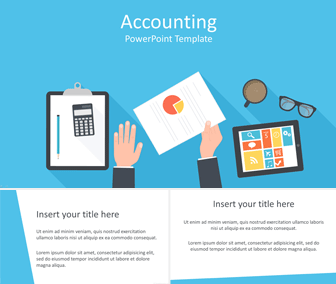 Impress your audience with this free accounting PowerPoint template. 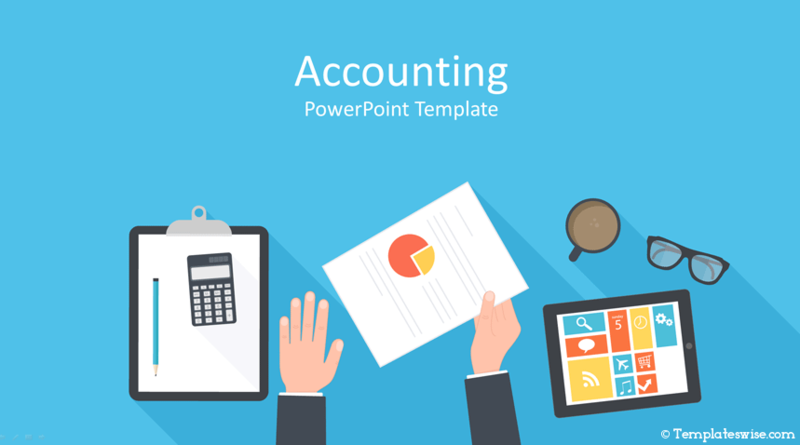 The title slide features a flat design illustration with an accountant hands holding a financial report. On his desk, there are office items including; a tablet pc, a cardboard with a pen, a calculator, eyeglasses, and a coffee. This nice illustration is on a flat blue background and there a lot of space on the top of the slide to add your message. Use this template for presentations on accounting, financial statements, bookkeeping, etc.